To steal a phrase from Vogue, I'm a big advocate of "more dash than cash". This blog is all about style over substance, but knowing when to scrimp and when to splurge. I live in a house which has a dearth of bathroom storage, so I've been looking for a little inspiration. The wine crates and CD tower as shelves are both looks I love, as well as the wire shelving, which give a vintage look. The metal rod storage system is a great space saver and is actually an IKEA kitchen storage system, and the shelf above the door is a clever way of using wasted space. However, our house is rented, so I can't attach anything to the walls, which means I need storage which takes up little floorspace. I helped my mum with her bathroom storage recently, and we found these drawers from Homebase (also available in white) which were perfect. Drawers are a good option if you're shy of dusting, because unless your products are used on a daily basis, they'll really gather dust. My all time preference would be to have a large chest of drawers in the bathroom, to store towels and toiletries, but I've yet to live anywhere with a big enough bathroom to fit one in. I like some of these options below - the back of the door and over the loo storage are really good for bathrooms which are short on space. And if you're someone who likes to have a chair in the bathroom, then the storage stool below can also double as a laundry bin. The trolley is on wheels, which is excellent when it comes to cleaning, as it's easily moved around. White wicker drawers, £20.48 B&Q; Molger open storage, £45 IKEA; Over-door shelves, £12.98 B&Q; Rattan 2 & 3 drawer units, £37.49 Argos. Molger storage stool, £30 IKEA; Seagrass drawers, £40.98 B&Q; Raskog trolley, £50 IKEA. 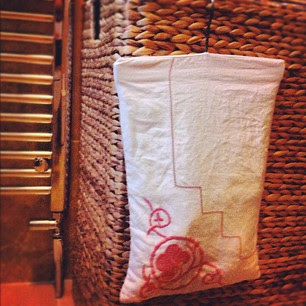 My most successful answer to bathroom storage has been this peg bag below, which hangs off the side of the laundry bin, but can hang from the side of any shelf, shower curtain rail or hook. It was bought for me as a present, and it's made from a vintage linen tablecloth - far too nice to be hanging outside on the washing line. I use it to store my muslin cloths in, but it could just as easily be used for cotton wool, tampons or hair accessories. 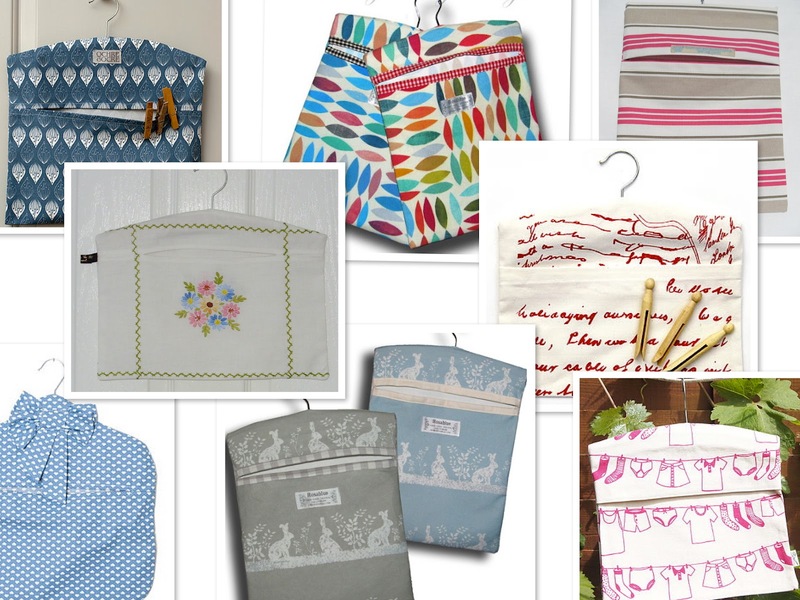 Here are some other peg-bag options - my favourite are from Rosa Blue, a shop in Cheltenham which designs and print its own fabrics. Or you could try making your own - there are loads of free patterns available online. Isabella bag, £12 notonthehighstreet.com; Camogli stripe, £8 Rosa Blue; Beige & pink stripe, £7.25 Etsy. Hand embroidered bag, approx. £10.15 Etsy; Silk-screen printed fabric bag, £15 notonthehighstreet.com. Hearts and bows, £12 notonthehighstreet.com; March hare print, £8 Rosa Blue; washing line design, £18.50 notonthehighstreet.com. 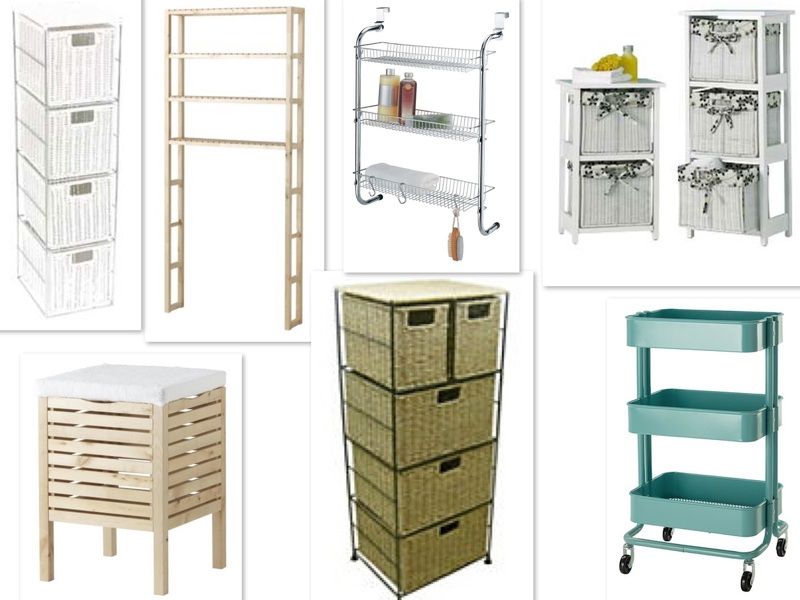 If you are going for shelves, then there are some nice storage boxes and baskets available from Crate and Barrel (which ships to the UK), IKEA, MUJI and H&M. Anything with a lid will keep things looking neater and dust-free. Happy organising. 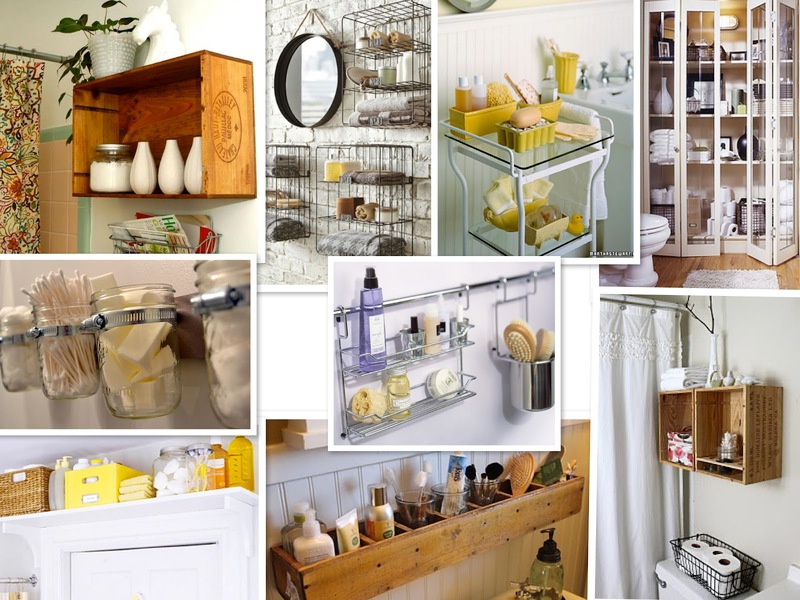 Love this post, I'm inspired to tackle my own bathroom storage. Going to try to make a peg bag! In the event that you have a pedestal sink or wall-mount sink and no cabinets to talk about,there is still hope for you.The RÅGRUND racks from IKEA are designed to fit around a pedestal sink or the pipe of a wall-mounted sink.Furthermore,if the RÅGRUND sometimes falls short for your bathroom style,attempt this organizer designed to circumvent a pedestal sink. @Lillie Jensen. 5 Beautifully 'Lagom' Ways To Bring Spring Indoors - Swedish Style!